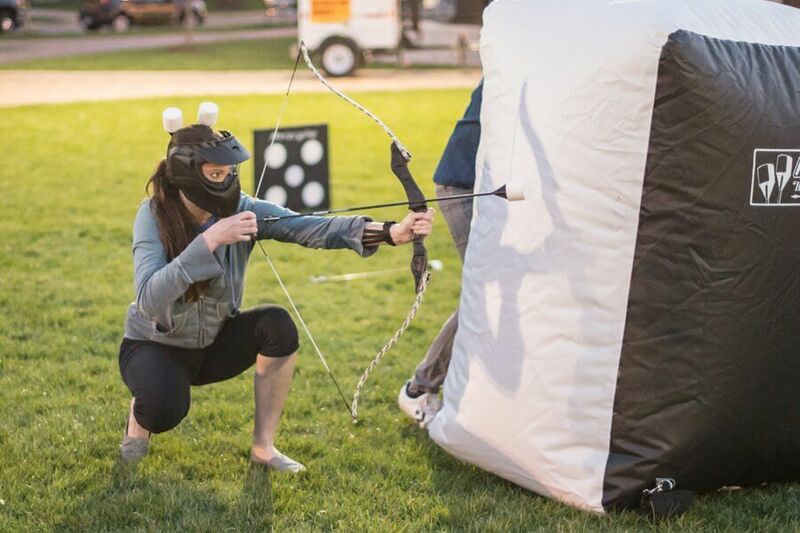 Archery Tag® uniquely combines the intensity and excitement of dodge-ball and paint-ball while using the skill-set of archery with patented foam-tipped arrows. 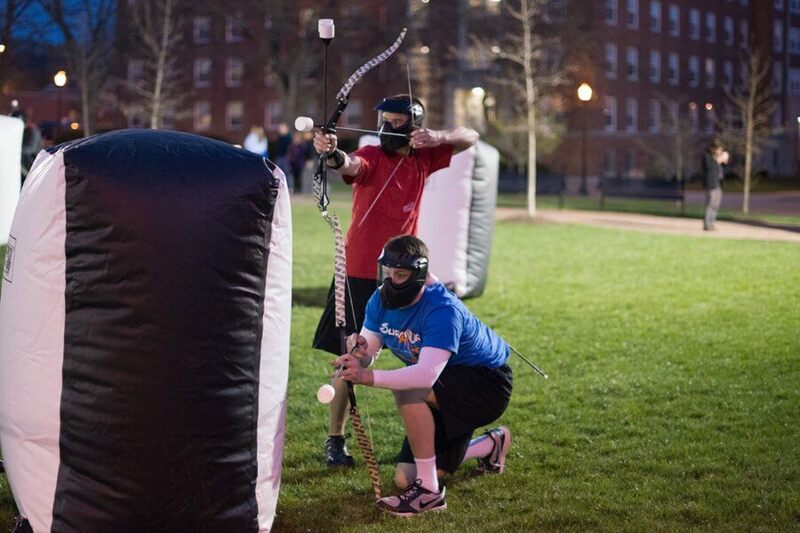 Unlike paintballs, our arrows leave no welts, bruising, or marks, making it fun and safe for players of all ages. Best of all – its mess free! Two teams battle to be the first team to knock out all the centers of their opposing team’s 5-spot target. 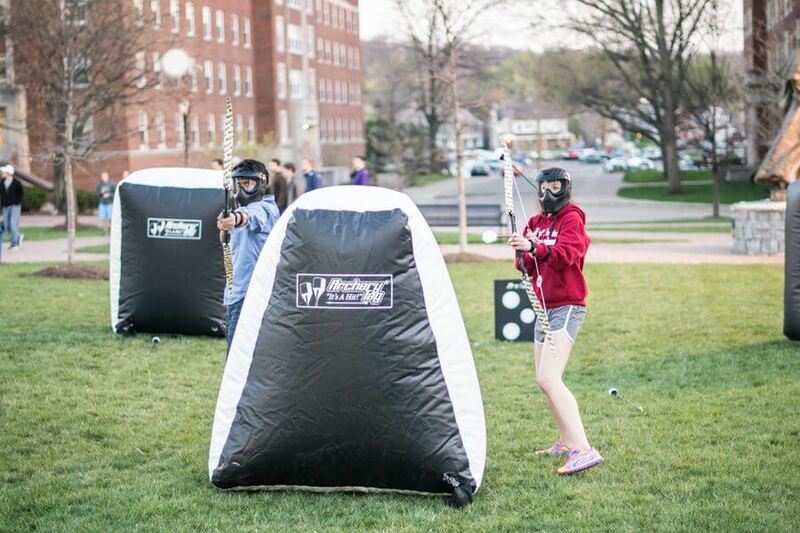 Our inflatable bunkers on both sides of the field add to the challenge of the game as players strategically move between them while trying to tag other players out with the arrows. The game ends in one of 3 ways: all of an opposing team’s members have been tagged out, all the 5-spots have been eliminated on an opponent’s target, or a set time limit has passed. If the game ends because the time frame has expired, then the team with the least amount of center- spots knocked out wins.